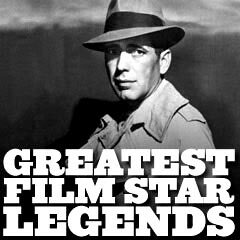 100 Greatest Film Stars - exhibits a definitive selection of the 100 Greatest Film Stars of All-Time (50 actors and 50 actresses). Many are considered legends, and although many of them are from the Golden Years of Hollywood, some are also living legends. 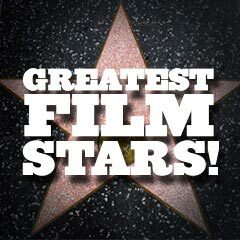 In each case, the stars are listed with their Best Films. 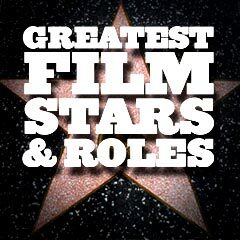 Greatest Film Stars - Their Greatest Roles and Filmographies contains a selected sampling of the starring roles that best define the screen presence or persona of many of the greatest stars of the American cinema - many more than the 100 selected above. The definitive screen role is often the one for which the actor or actress is best-remembered. In some cases, some actors/actresses - over a long, prolific career - have had more than one exemplary or essential example of their acting portrayed in films. 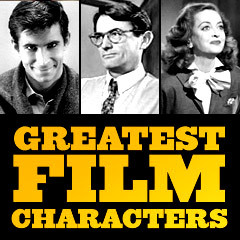 Greatest Film Characters of All-Time contains the greatest or most memorable film roles or characters in the history of cinema, based upon a number of criteria. There are hundreds of choices here, all presented with an iconic illustration, the actor/actress who played the role, and the notable film. 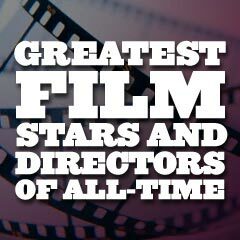 Another polling of Greatest Film Star Legends was completed by the AFI in June of 1999, called 25 Greatest Men and 25 Greatest Women Screen Legends in the first century of American Film. The 50 Screen Legends are identified by their rankings and this graphic symbol in these listings. 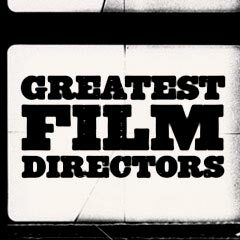 Greatest Film Directors of All-Time contains honored selections (including picks for the 50 Greatest Directors), providing a tribute to some of the greatest directors of all-time, with suggested or recommended Best Films or 'Must-See' Films from their filmographies. See also this site's extensive write-up of information about the Best Director Academy Awards. 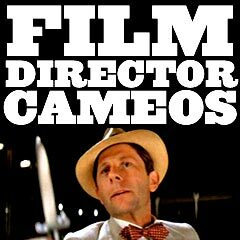 (See the complete list of all Best Director Oscar winners here). 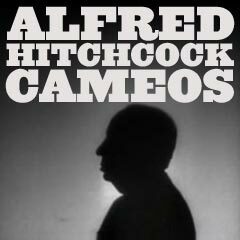 Alfred Hitchcock made a total of 39 self-referential cameos in his films over a 50 year period (from 1926-1976), the most ingenious cameo appearances in films with limited sets, as in Lifeboat (1944), Rope (1948), and Dial M for Murder (1954). One recurring theme was that Hitchcock carried a musical instrument in some of the cameos.